Many betta owners are not aware that their betta requires warm water. Not just room temperature, which ranges from 68-72 F (21-23 C). Ideally, the water should be at least 78 F for a betta. 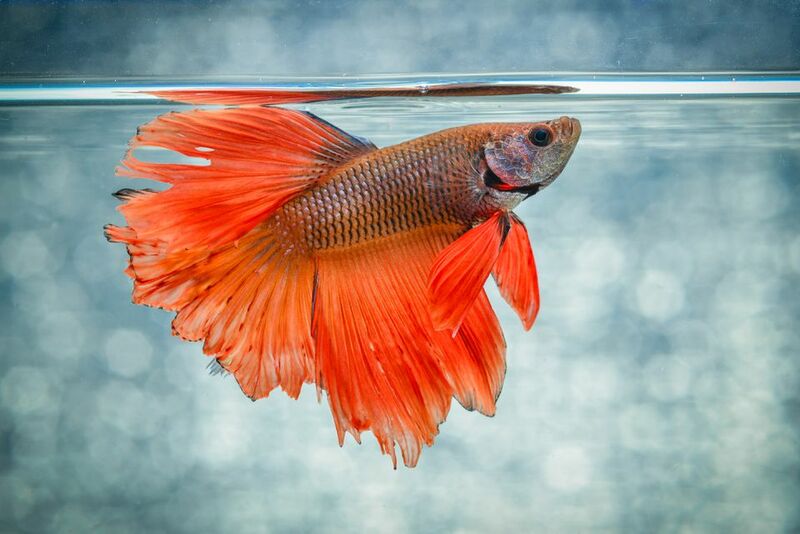 Because bettas are often kept in small tanks or bowls, heating can be a challenge. Changes in room temperature, especially in climates that become much colder at night, can prove stressful for a netta. However, there are now a number of small heaters made specifically for mini aquariums and betta bowls. Before choosing one, it’s important to know a few things about heaters, so you know what you are getting. The term submersible refers to a heater that can be fully submerged in the water. However, some vendors use the term “partially submersible”, which means that a portion of the heater must remain above the water line. Generally, partially submersible heaters cost a bit less, but in use, they are not as versatile. It is recommend to go with fully submersible heaters whenever possible, no matter what the tank size. Pre-set heaters come with a single preset temperature, generally 78 F. There is no way to adjust preset heaters; they simply turn on and off as needed to reach the factory settings. However, they are often smaller and less expensive, which makes them a good candidate for small tanks or bowls. Adjustable heaters come in two varieties. One has temperature markings that allow a specific number to be selected. The second type has an adjustment know with only a plus and minus on it. These heaters have a small light that comes on when the heater is putting out heat. To adjust the temperature setting; you must place a thermometer in the tank, turn the heater on and wait for the temperature to reach the desired level on the thermometer, then turn the knob until the light goes out. Here’s where things get interesting. With the advent of very small heaters, manufacturers have moved beyond the standard torpedo style heater that is suction cupped to the side of the tank. Heaters now come in a variety of shapes and sizes. Some are flat, others are rectangular shaped, and others are round to fit in the bottom of a bowl. One thing they all have in common is that they are made from shatterproof materials and require little energy to run. Flat styles can be placed under the gravel, thus avoiding the need to try to hide the heater behind decorations. It is even possible to place them underneath the tank itself. Periodically the question is raised about the possibility of an in-line or in filter heater. These are available, but they designed for larger tanks. Currently, there are no models made for small aquariums. Hopefully, in the future, someone will come up with a heater/filter combo designed for small aquariums. Regardless of the type, size or shape of the heater, you have no way of knowing what the temperature actually is. Therefore it's important to use a thermometer and check it regularly to ensure the heater is not under or overheating the water. Small stick-on thermometers are ideal for mini aquariums and are quite inexpensive. If the tank is very small and a stick-on thermometer would be visually unappealing, a "standing" thermometer can be placed in the tank for a short time to take the temp, then removed.